Post-time favorite Whitmore, making his first start since the Breeders' Cup Sprint last November, proved his class by wearing down the early leader late to capture his second straight $125,000 Hot Springs Stakes for owners Southern Springs Stables, Robert LaPenta and Head of Plains Partners LLC. With leading rider Ricardo Santana Jr. in the irons, Whitmore settled into second behind multiple stakes winner Ivan Fullunovalot, who took command for brisk fractions of :21.64 and :44.21 for the first half mile. The winner angled three wide at the quarter pole, rallied and held off the fast closing Wynn Time by a neck in winning the six furlong race in 1:08.57 over a fast track. Ivan Fallunovalot held on for third. Whitmore, a five-year-old Pleasantly Perfect gelding, improved his record to 9-3-2 in 17 starts and has now earned $1,287,000. He returned $4.80, $3.40 and $2.40 at odds of 7-5. Moquett said Whitmore would be pointed to a defense of his title in the $400,000 Count Fleet Sprint Handicap (G3) April 14. 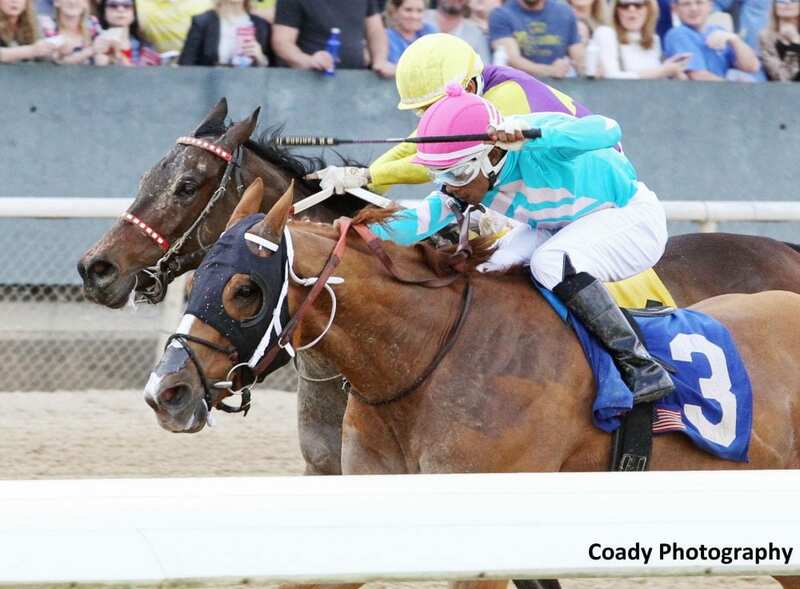 This entry was posted in Racing and tagged breeders' cup sprint, hot springs stakes, Oaklawn, oaklawn park, ricardo santana, ron moquett, southern springs stables, whitmore by Press Release. Bookmark the permalink.